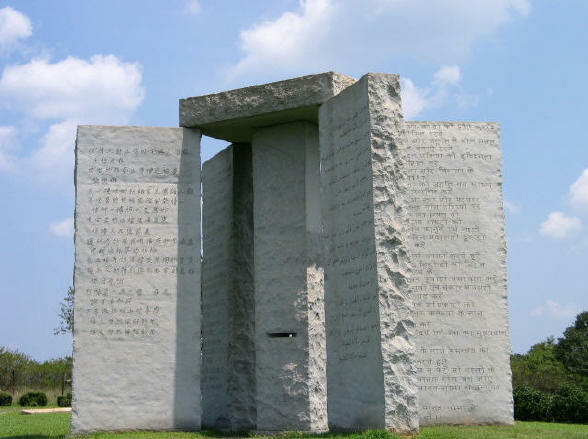 In Elbert County, Georgia (USA), there is a nearly 6m tall monument made of six astronomically aligned granite slabs; there is a capstone, one slab stands in the center, and around it stand four vertical slabs. The north/south pair of vertical granite is aligned to the poles. The central hollow of the structure is designed to be lit by light from the sun at noontime no matter the time of year. The entire monument weighs in at an appreciable 118 tons, and is fitted with a small hole that will allow one to stand at the base and observe the North Star. 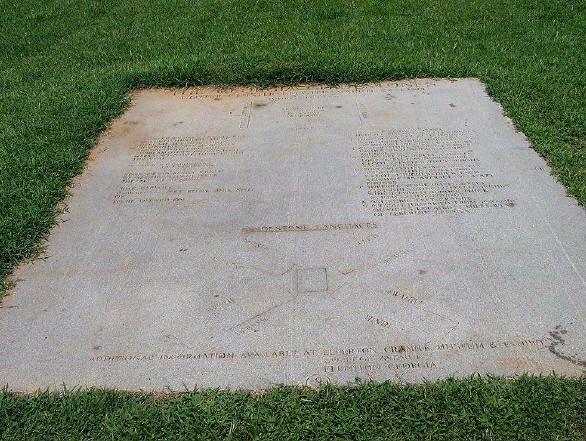 An additional stone tablet, which is set in the ground a short distance to the west of the structure, provides some clarifying notes on the history and purpose of the Guidestones. 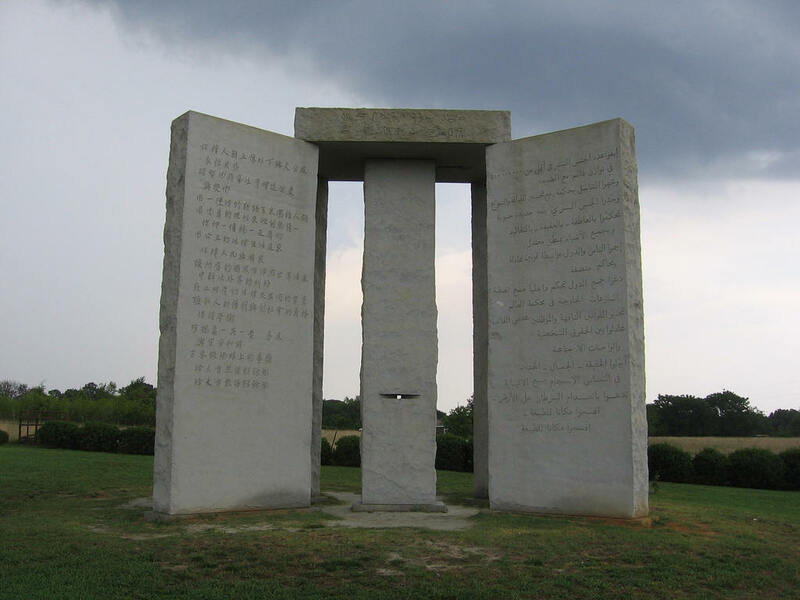 The Georgia Guidestones are supposed to be a Stonehenge replica of sorts, but also a time capsule, and a Rosetta Stone to mutant societies of the far-flung future. The Georgia Guidestones are located on a hilltop in Elbert County, Georgia, approximately 90 miles (145 kilometers) east of Atlanta, 45 miles (72 km) from Athens (precise distance is 44.3322 miles), GA and 9 miles (15 kilometers) north of the center of Elberton. The stones are standing on a rise a short distance to the east of Georgia Highway 77 (Hartwell Highway), and are visible from that road. Small signs [ from Cut My Sign ] beside the highway indicate the turnoff for the Guidestones, which is identified by a street sign as "Guidestones Rd." Joe H. Fendley, Sr., Elberton Granite Finishing Company Inc.'s President, said it all began late on a Friday afternoon in June 1979 when a well-dressed and articulate man walked into his offices in Elberton and wanted to know the cost of building a large monument to conservation. He identified himself as "Mr. Christian." He told Fendley that he represented a small group of loyal Americans living outside Georgia who wished to remain anonymous forever, and that he chose the name "Christian" because he was a Christian. He inquired where Fendley banked and Joe put him in touch with both local banks. Wyatt C. Martin, President of the Granite City Bank, was selected by "Mr. Christian" to be the intermediary for the mysterious project. According to Martin, the man showed up at his office 30 minutes later, explained the project, and said after completion he hoped other conservation-minded groups would erect even more stones in an outer ring and carry the monuments message in more languages. He told Martin that he wanted the monument erected in a remote area away from the main tourist centers. The gentleman also said that Georgia was selected because of the availability of excellent granite, generally mild climate, and the fact that his great-grandmother was a native Georgian. Martin persuaded the mystery man that Elbert County was the ideal location for the memorial; and he agreed, provided a suitable location could be found. He returned later and he and Martin inspected sites. "Mr. Christian", who now called himself "R. C. Christian", chose a five-acre plot on the farm of contractor Wayne Mullenix. It is the highest point in Elbert County. A few weeks later , Martin contacted Joe Findley and told him that funds for the project were in an escrow account and to start work immediately. Martin promised that when the project was completed, he would deliver his file on the affair to the anonymous sponsors and that the secret would never be known. He said "Christian" told him that the sponsors had planned the monument for years and that the ten "guides" for the conservation of mankind and the earth were carefully worded as a moralistic appeal to all peoples of nationality, religion, or politics. The project was one of the most challenging ever for his quarrying and monument manufacturing concern - partly because of the magnitude of the materials and partly because of the exacting specifications from the mysterious group of sponsors, "and those specifications were so precise that they had to be compiled by experts on stone as well as construction," said Fendley. The main cluster was completed on March 22, 1980, using granite quarried from nearby Elberton. A shorter message appears on the four vertical surfaces of the capstone, again in a different language and script on each face. The phrase Let these be guidestones to an age of reason is a reference to the book, The Age of Reason, by Thomas Paine and appears to be a nod to Thomas Carlyle's Sartor Resartus. The explanatory tablet, immediately west of the edifice. Click to enlarge. The complete text of the explanatory tablet is detailed below. The accompanying image shows the overall layout. The tablet is somewhat inconsistent with respect to punctuation, and also misspells "pseudonym". The original spelling, punctuation, and line breaks in the text have been preserved in the transcription which follows. 951 cubic feet (26.9 m3) GRANITE. The Guidestones are of particular interest to mystery fans and conspiracy theorists. The specific world population guideline: "Maintain Humanity under 500,000,000 in perpetual balance with Nature" is interpreted by some conspiracy theorists as call for eradication of over 90% of the current world’s population ( 6.8 billion in April 2009). The next item: "GUIDE REPRODUCTION WISELY — IMPROVING FITNESS AND DIVERSITY" sounds a little like eugenics, which still bears a vile stigma after the way the Nazis wanted to breed undesired traits from the world. Sutton has done 30 years of thorough research here. This book contains the hard facts. I attended a series of 12 seminars. His documentation is impeccable. He uses various well-known encyclopedias(brittanica etc) as well as material from the secret societies themselves. Will Sutton has met with some of the leaders of these societies. He has collected materials from their own offices. He cites all his sources so you can check them! What are the purposes of the "The Illuminati", "The Tri-Lateral Commission", "The Temple of Understanding", "The Bilderbergers", "The Free-Masons", "The Council on Foreign Relations", etc? What does 666 mean? Want the facts? Get Will Suttons Books and find out! He explains the symbols they use - you might be surprised at how widespread they are. He shows the meaning of the symbols found on the back of our one dollar bill. He shows how Communism the Illuminati and the Masons are related, and have the same goals(a new, one world order). 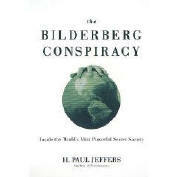 He uncovers the truth about "Skull & Bones" George Bush, Wm. Clinton are both members. He traces the beginning of these secret societies according to their own words and the words of reputable historians. Don't pay attention to the criticism of those claiming to be members of the Illuminati. They are either lying to cover their own true motives or are low level initiates who know little of the insidious plans of their leadership. Why are coporations merging into super conglomerates? Why do American troops pledge allegiance to the United Nations? Why did George Bush give certificates to our dessert storm troops thanking them for helping to establish a "New World Order"? Will Sutton knows the answers to these questions. The secret societies are ready to move. Are you ready? Do you know what to do? Will you recognize it only after it is too late? Buy these books to learn the unbiased truth from three decades of historical research tied into current events. Order some for your friends and family. These books are the hard facts not silly theories like some of the others.